For True Value Hardware coupon click here. Good until July 31st. 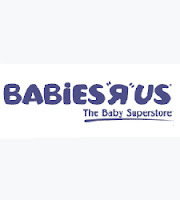 For Babies R Us coupon click here. Good until May 2nd. Works for online or in store purchases. Thanks to Chicks Dig Deals for these two coupons! Get money back for buying stuff online. We both get five dollars if you use it. Swag Bucks- Search for the post where we talk about this! This blog was set up so that we can network in order to spread the savings. The contributors are all currently living in Lincoln, Nebraska, but obviously some of the deals/advice/tips can be used if you live elsewhere. If you have any tips, deals, or meal plans, please share them with us! We try very hard to be honest and forthright in all our money saving deals--but sometimes things slip by us. If you come across any coupons or deals posted on our blog that you know, or suspect, are dishonest, please let us know so we can get rid of them.